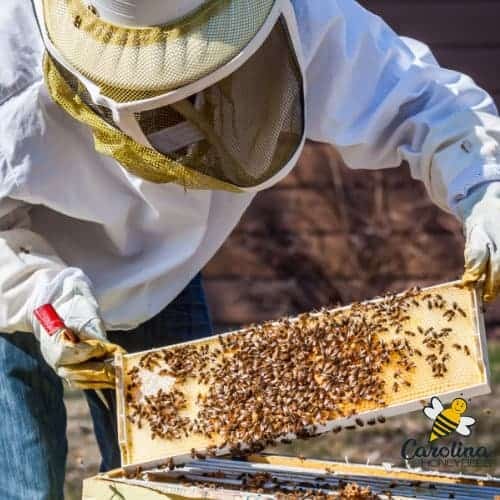 Periodic hive inspections are crucial to healthy honey bee colonies. This is even more true in regard to new hives. A timely new hive inspection can be a great way to avoid disaster – but you have to know what to look for. Getting your first hive of honey bees is really exciting. After months of anticipation, the bees arrive and are installed in their new home. You did it! All you have to do now is sit back and wait for the honey – right? No, not hardly! That new colony will need some supervision if you want it to grow into a healthy, productive beehive. Many new colonies begin with a package of bees. The queen arrives held in a special cage that allows her to be slowly released. This is important because the bees in the package are not from her hive. 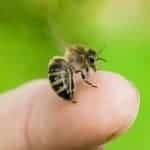 In the few days that it takes the worker bees to release the queen, they should come to accept her as their queen. Your first new hive inspection can take place about a week after install. Our goal is to make sure the queen is released from the queen cage. And, we may be able to find signs of her laying. Eggs or young larva may be present. Young bee larva look like white grubs. Don’t be alarmed if you do not see brood yet. Bee eggs are hard to see and easily over-looked. And, sometimes it takes the queen a little while to get started. If a brief inspection shows the queen released but you see no brood, repeat your inspection in 5 or 6 days. At that time, an absence of brood should be addressed with a replacement queen. Looking inside the hive can be very educational. 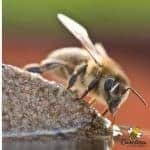 It is one of the most useful types of training for new beekeepers. No book can prepare you for the wonder and mystery of seeing the bees working on the comb. However, we must remember that it is not natural for a hive to be open to light. Or, to have a giant in a white bee suit removing parts of the bees home. All hive inspections should have a goal and be as brief as possible. Don’t forget to enjoy your beekeeping experience. Yes, things will go wrong and Yes, sometimes it will be your fault. But it is all a part of the learning experience. Our failures help us become better beekeepers in the years to come.